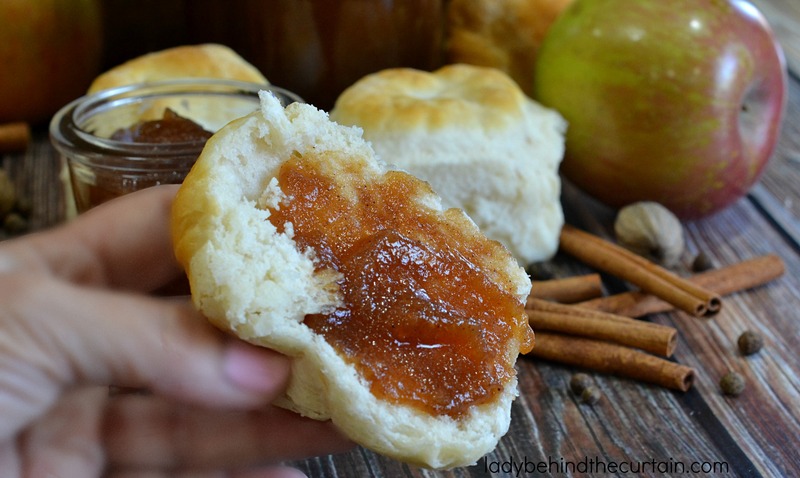 Slow Cooker Apple Butter | One of the most popular recipes I make for Fall! Trust me when I say….you’re family will never want store bought again! This easy recipe is perfect for busy moms. Just put the apples and spices in your slow cooker and forget about it. Just smelling cinnamon puts a little spring in my step. Whether that’s scented pine cones or a cinnamon creation baking in the kitchen. Fall is my favorite time of year. 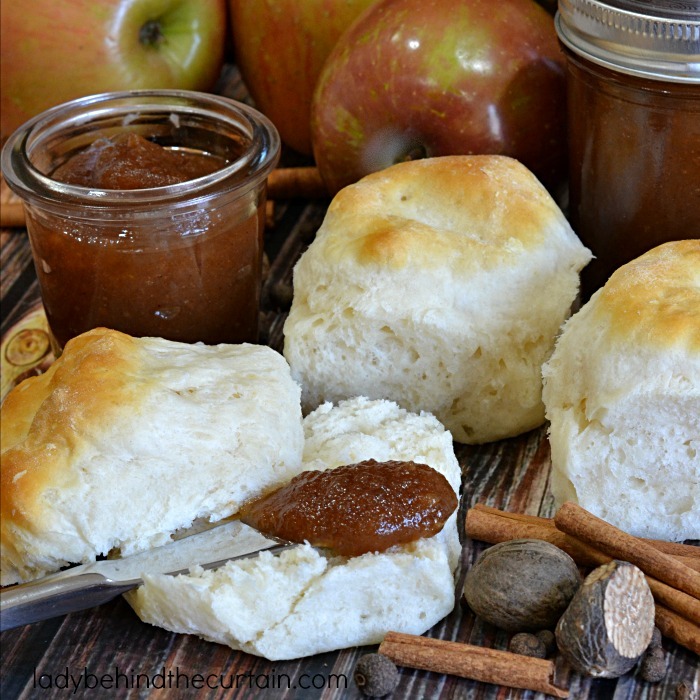 Give this sweet homemade Slow Cooker Apple Butter as gifts this year. Perfect for a neighbor, hair stylist, hostess gift, school or Sunday school teacher. Everyone loves a homemade gift! Make a breakfast basket with assorted mixes like biscuits or scones. You can also make OLD FASHIONED STACK CAKE and my APPLE BUTTER CINNAMON ROLL CAKE. Fill a large slow cooker (5 to 6 quart) with prepared apples. Add the sugar, cinnamon, nutmeg, allspice, cloves and salt. Cover and cook on low 11 hours. Using a large slotted spoon take out the apple slices and place in a blender. NOTE: If the butter is too thick you may add some of the reserved juice. Put into three half pint canning jar and store in the refrigerator. what do you do with the juice after you take the apples out? I used half of the juice as a marinade for some pork chops and they were amazing (just make sure to salt the meat) the other half I did a reduction and it’s a great syrup for ice cream! Are you saying the Apple butter is only good for a few weeks? Oh u see. I made it about 2 wks ago and processed it in a water bath. Do you have to refrigerate it after making it? Or is it something that can sit out? 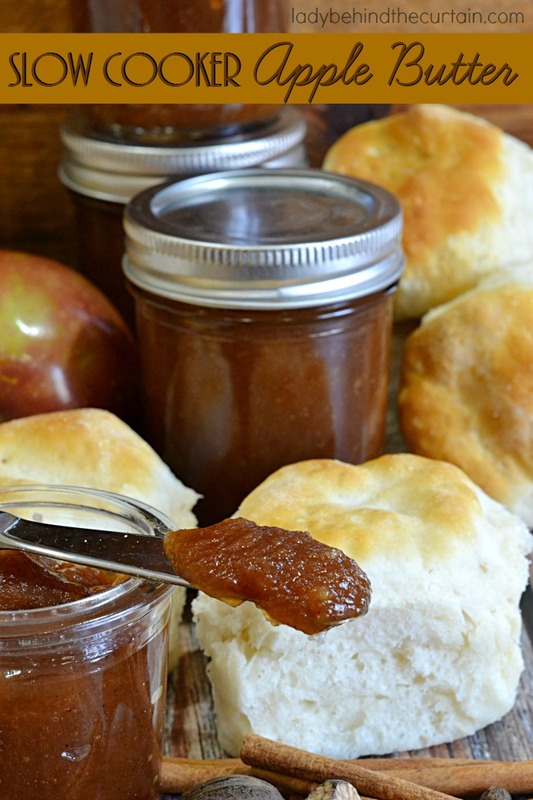 Yes, you need to keep this Apple Butter in the refrigerator. if you process it in a water bath it should last several months, Am I wrong? I think you’re right Karen. Thanks Sheryl. I am making a batch today. The house smells sooooo gooood! Your site is the best! Easy access and easy to print! Thank you for all your sharing and hard work. I’M TRYING TO FIND THE RECIPE FOR OLD FASHIONED STACK CAKE BUT WHEN I CLICK ON THE LINK I GET A MESSAGE THAT SAYS SORRY, NO SUCH PAGE. COULD I POSSIBLY GET THAT RECIPE FROM YOU? THANK YOU IN ADVANCE. I will be makeing this right away. I am making the jelly for gifts. Can I double the batch? If so would it be the same cooking time??? My juice got really thick and sticky and butter think and more peanut butter consistency..what did i do wrong? Hi Emily, What kind of apples did you use? Maybe your apples weren’t as juicy as mine. If you make this recipe again, I would recommend checking the consistency throughout the cooking process and if you notice it getting too thick add a little water or apple juice to the mixture. 3/4 cup Apple cider (NOT Apple cider vinegar) instead of water. This definitely is a keeper!!! Thank you! WooHoo! I’m glad you liked the recipe and it turned out. I’m making your stack cake & using this applebutter filling. I’d like to make 2 cakes total. Do I need to double the applebutter recipe? Good Luck Bonnie! The cake is really easy I’m sure it will be delicious! I love your recipes. The Apple Stack Cake was right on point, so good. Growing up in Harlan Ky, i know these recipes. I lost mine, thanks for posting. My mama would be proud, that i can still make her favorite cake, thanks to you. Now i have the rest of the ingredients that i couldn’t remember. Do you know about a recipe for cranberry jelly (no seeds), cream cheese, orange peels and Graham Cracker crumbs? Its an old recipe. It is a layered dish. Maybe coolwhip and some nuts to top. I ate it 17yrs ago. My aunt that had past, made it in the 70’s i was told. Not sure the name or if there’s more ingredients. Do you know this recipe? Eastern Ky is where that i ate is dessert. Hi Stephanie, I just did a search on Google for layered cranberry salad with cream cheese and a lot of recipes came up. Maybe you can find it there. Sounds really good! 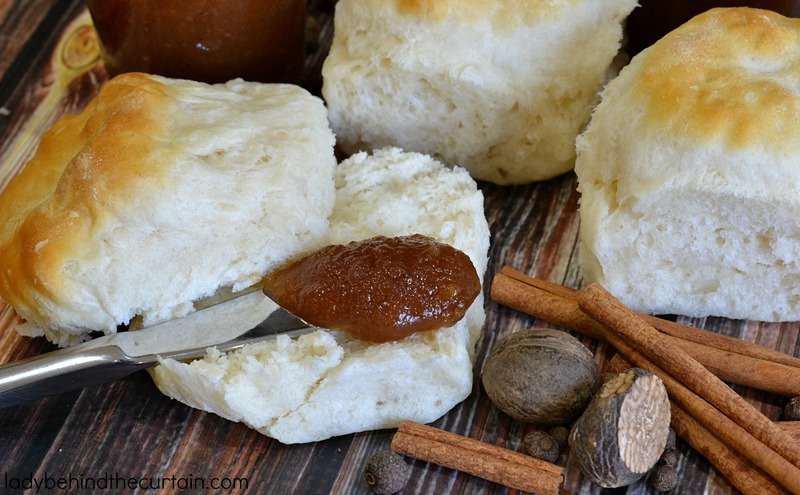 I grew up in Pike County, Ky. My family always have made apple butter and stack cakes! The only thing my mother, grandma, and Great grandma did different with their Apple butter was add cinnamon oil and regular cinnamon. The oil gives the apple butter a deeper flavor. Everyone loves our apple butter, but I have never seen this in any other recipe!